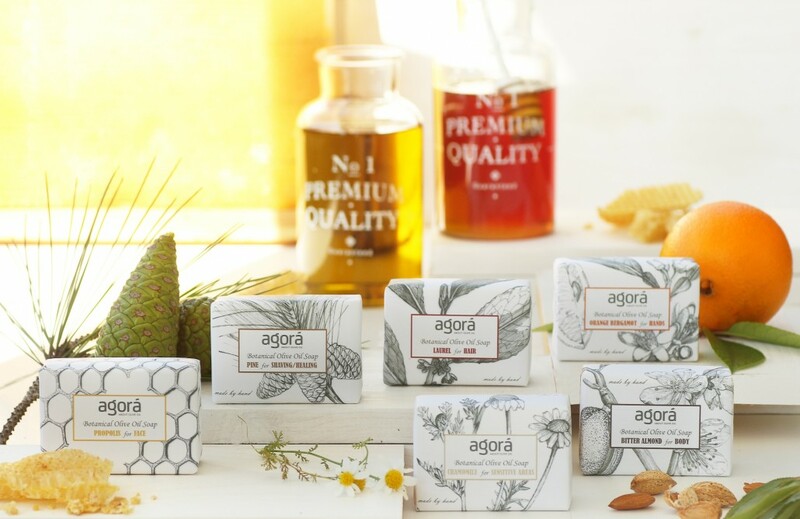 After three years of planning, agora has proudly created the new botanical olive oil soap series, that consists of Chalkidiki organic extra virgin olive oil with low acidity. The series is a full care, beauty pack that includes six botanical soaps, that each is intended for a different use. The main ingredient of each botanical soap is the Chalkidiki organic extra virgin olive oil but also local herbs from the Greek region of Chalkidiki that result in an exquisite product of mild pharmaceutical use with rich, natural aroma that lasts. Our prior concern was to reset the use of these natural products to the daily beauty and care routine, by introducing a fresh, modern product. The packaging design was inspired by handmade drawings from 16th century herbariums. All drawings are made by hand, adding to the product the great feeling of a unique, handmade, pharmaceutical product.